With some decoration and use of windows, skylights, and light tubes, your dark rooms can be opened up and given life and vigor. Make your home open and airy. If you’re one of the many homeowners stuck in a dark home, there’s good news. It actually takes very little to turn that dimly cramped room into something open, bright, and airy. 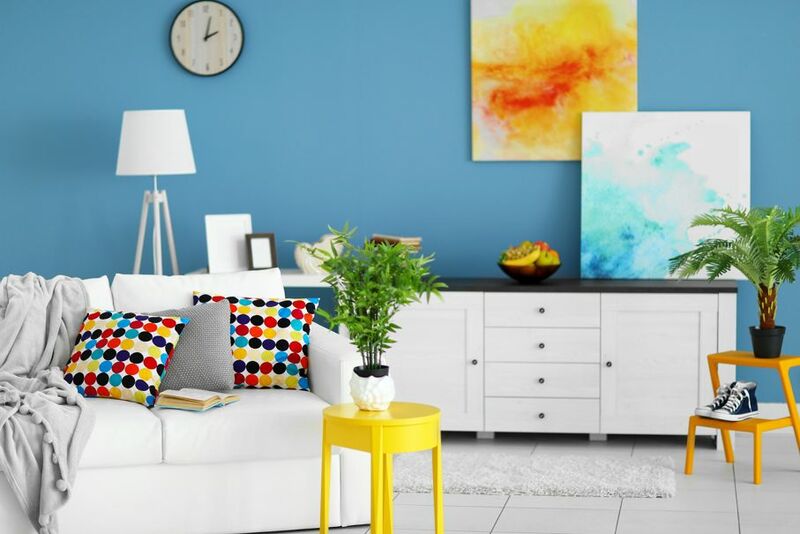 In fact, you really only need a few basic tweaks to radically transform any room in your home into something more welcoming that you’ll love spending time in every day. Here’s what you need to know. The color of your walls is an important factor in in determining if your room is bright or dark. Darker colors can make even larger rooms seem smaller, which is why many people choose this route for rooms that might feel just a little too big. Use a light, bright color in smaller rooms to really open them up. However, you aren't obligated to go the plain white or eggshell route. There are many other options that can work just as well. For instance, sky blue walls with white trim can give you an airy feel, or evoke the feelings of the seaside. Light yellow and white can open up your room dramatically too. There’s a light yellow-green called, “dill,” that works well in a room with lots of windows and a natural view, particularly when paired with either white or yellow trim. 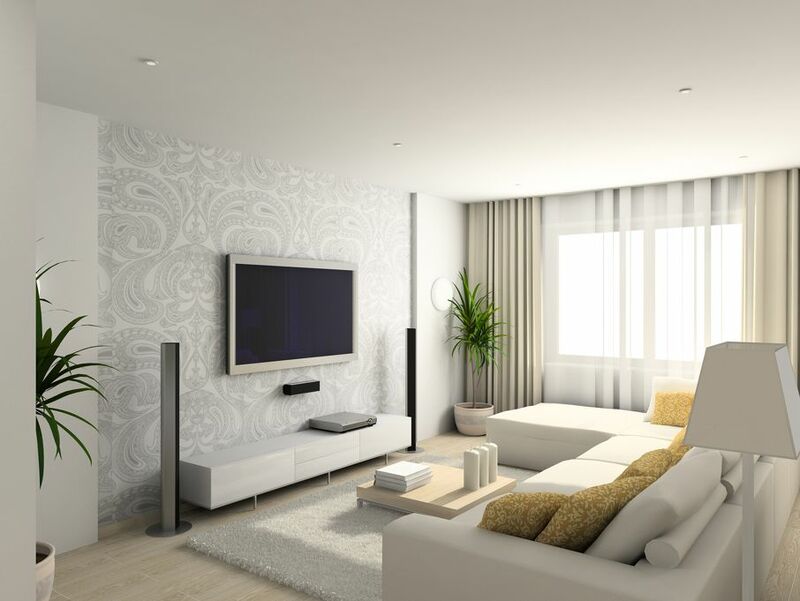 Of course, you can also go with white on white – white paint with white curtains and even white furnishings. Change things up with different textures to brighten up the dullness. While you might have a love for heavy decoration and floral patterns, there’s a lot to be gained by using modern décor in a small room. 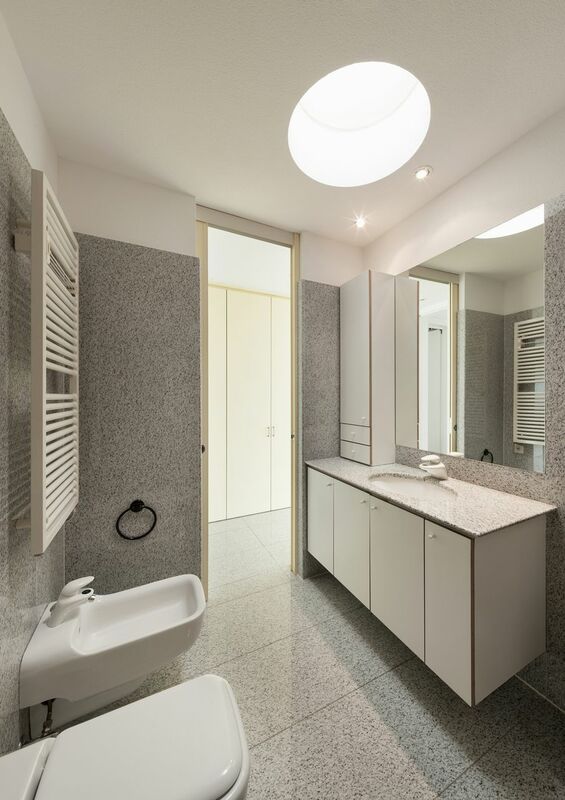 Modern look is sleek, streamlined and minimalistic. It can help ensure that even the smallest of rooms feels bigger, brighter, and more open. It doesn’t have to be Jetsons-like, either. There are plenty of options out there that offer smooth, sleek lines without the futuristic style. Choose the right couch or loveseat, and add splashes of color with throw pillows while keeping the overall color scheme light and lively. While you can achieve a lot with paint, fabrics, and furnishings, you should also add some light to your room. Make sure you have several lamps that provide white light. Finally, consider adding sun tubes to the room. Essentially, these are just acrylic cylinders that run through the ceiling. One end is located in the roof of the home where it collects sunlight. That light is then transported through the cylinder to the other end where it’s emitted into your room. Sun tubes are great choices for rooms where a skylight would be impractical or impossible, and can really add to the space of your room. Windows do more than just let you enjoy the view outside. They also connect your home to the outdoors. 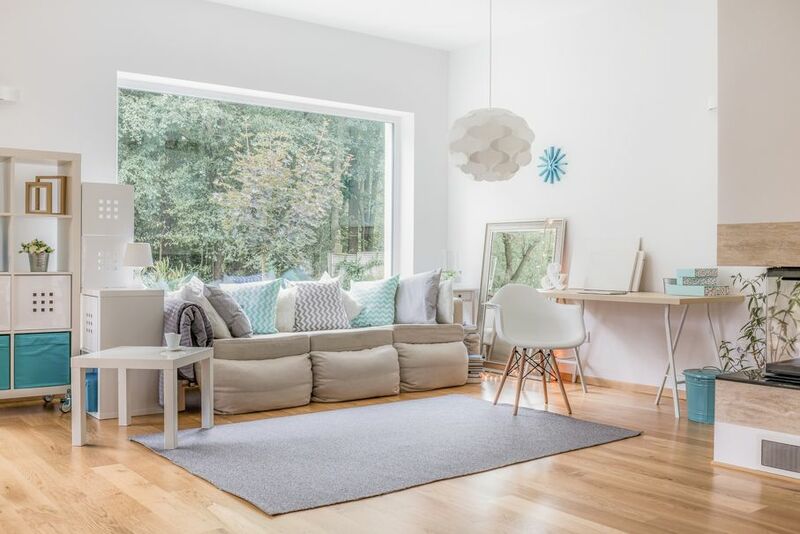 For a small room with just one window, or no windows at all, consider adding a bank of windows to really let the natural light in and form a stronger connection with the outdoors. When done properly, this can make it feel as though your room extends past the walls, giving it a much more open, airy feel. Complement the windows with gauzy, light window treatments in pastel colors that evoke the feeling of springtime. Surprisingly, the floor has a major impact on the feel of a room, including the impression of space and airiness. If you have carpet, consider getting rid of it. Hardwood flooring, even darker woods, can really open up your room. If hardwood is out of the budget, consider going with a laminate, vinyl, or tile. If carpet is your only option, then choose a short-pile carpet in a light color, preferably a neutral like light beige or off-white.